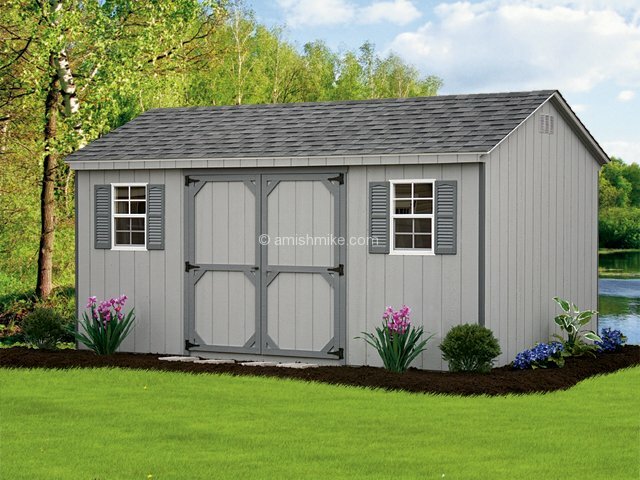 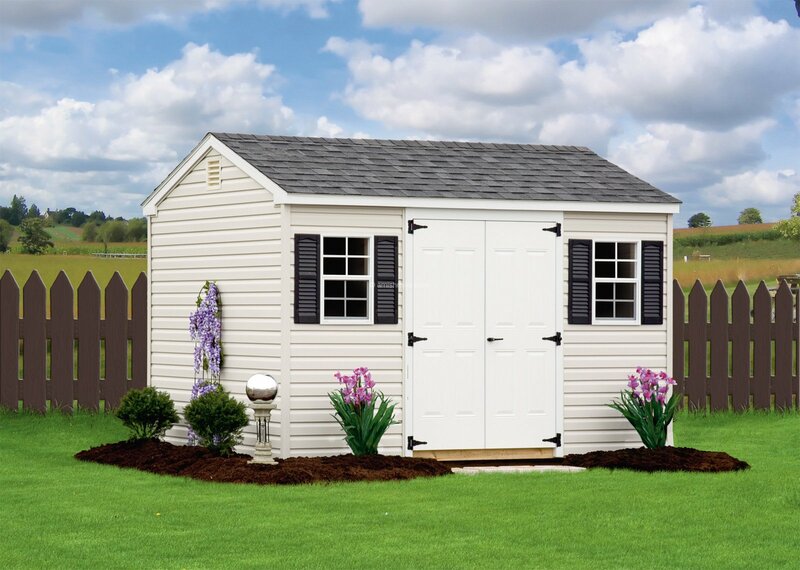 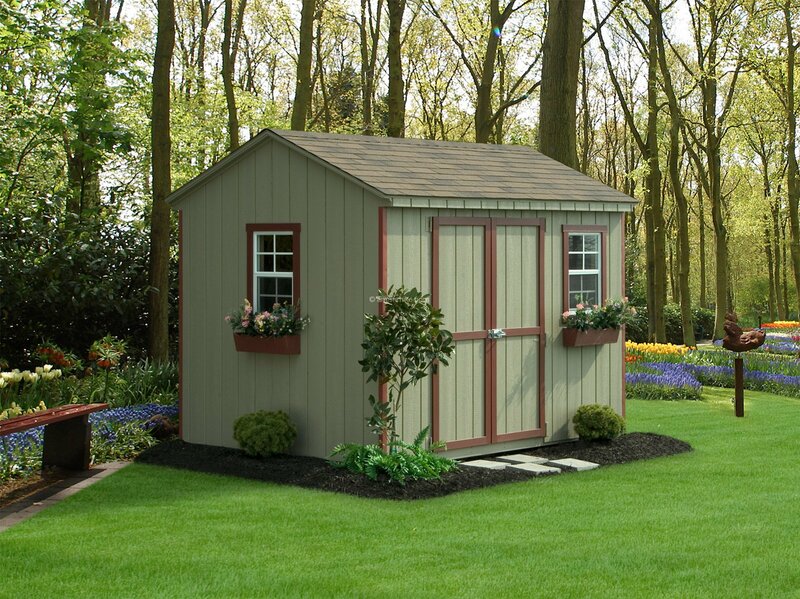 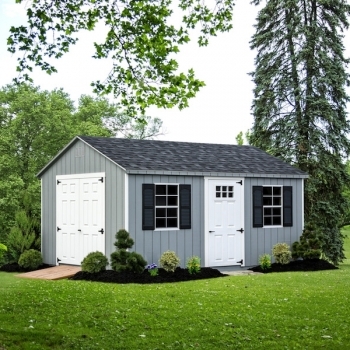 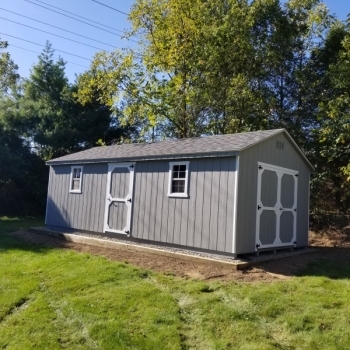 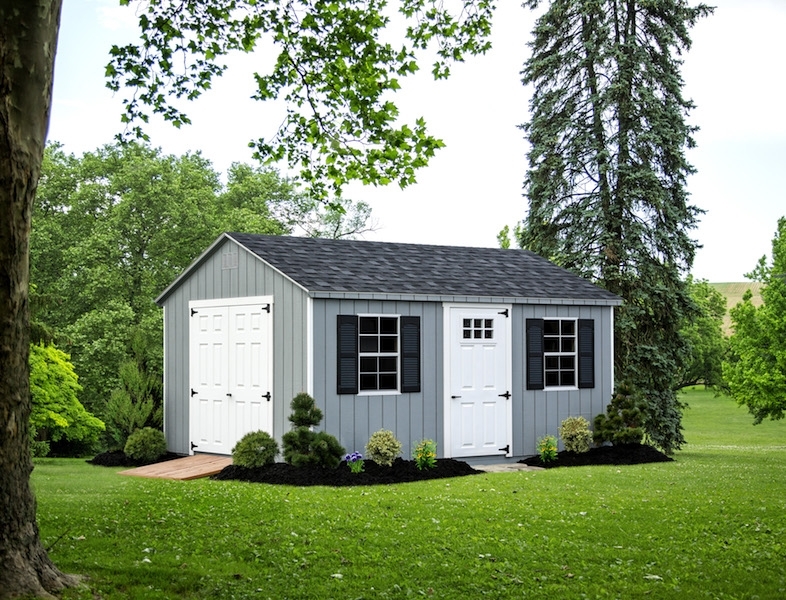 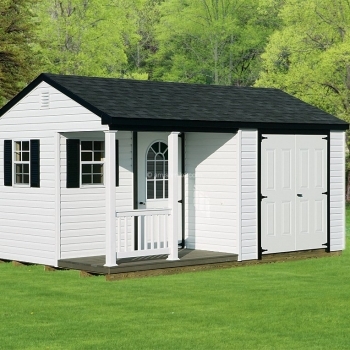 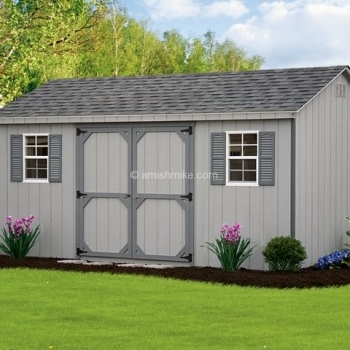 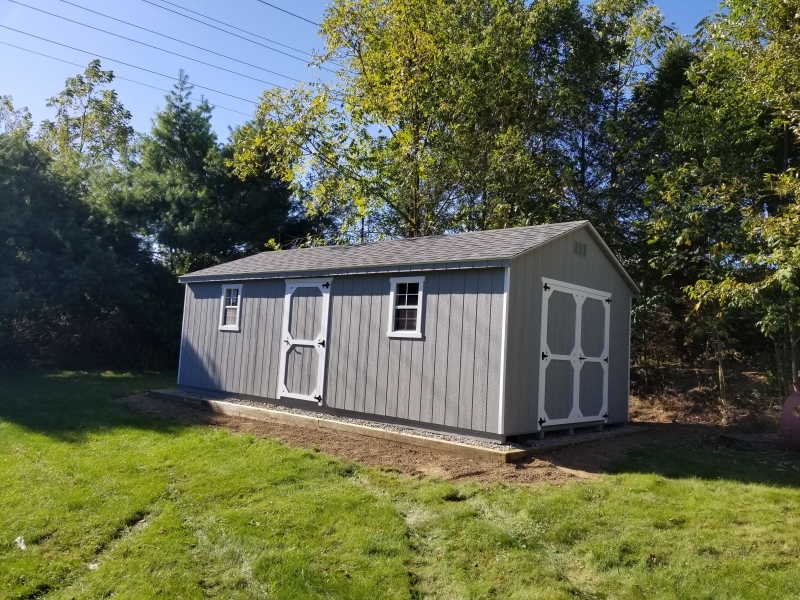 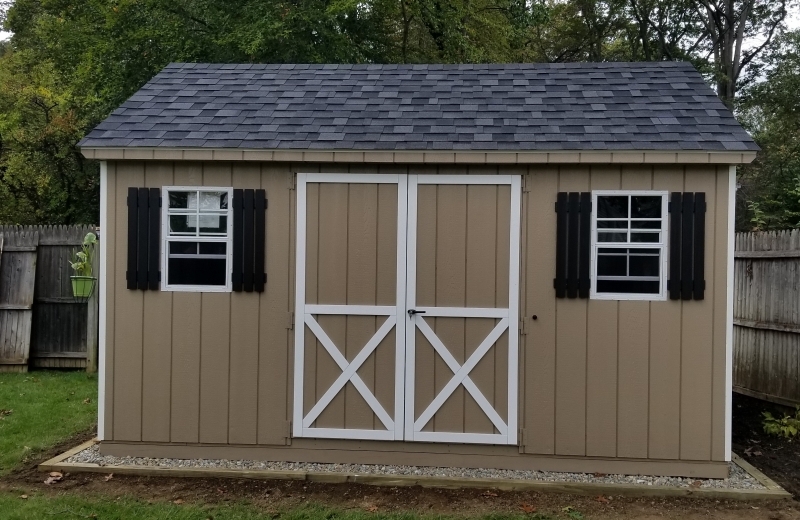 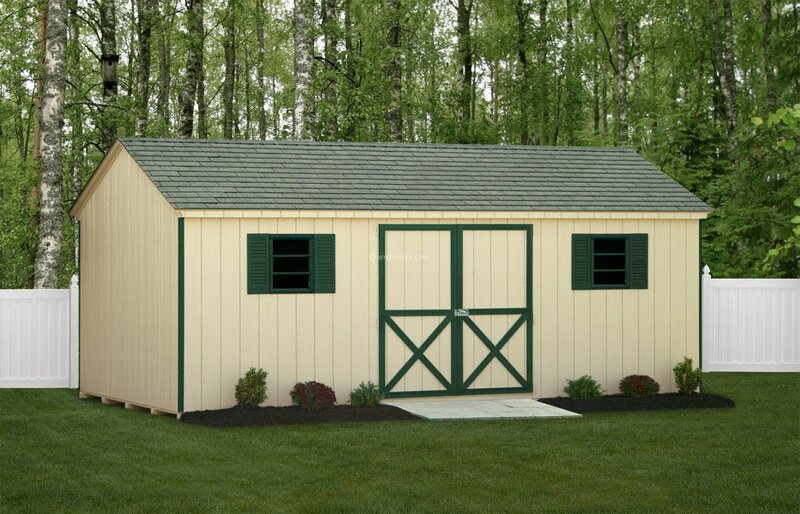 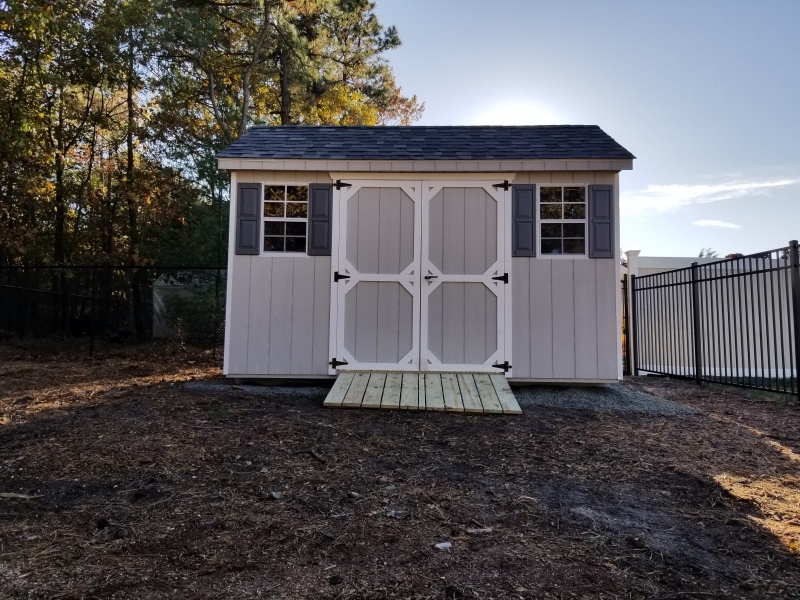 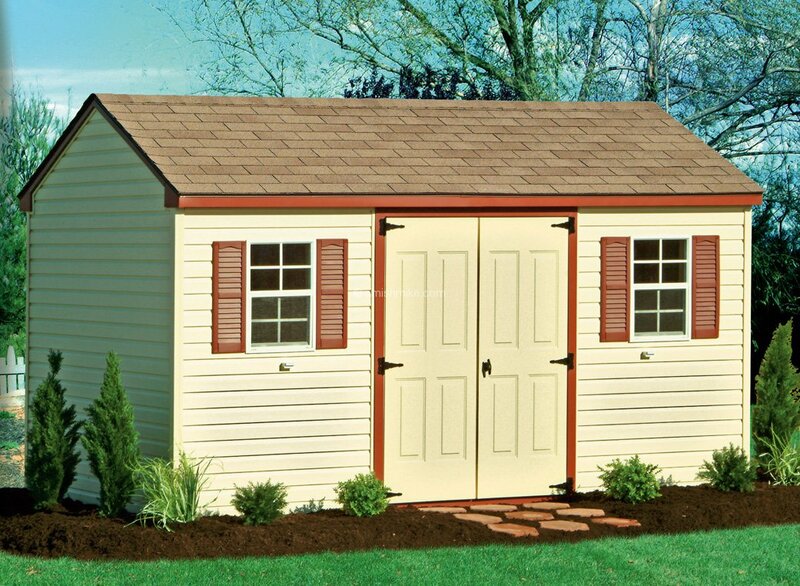 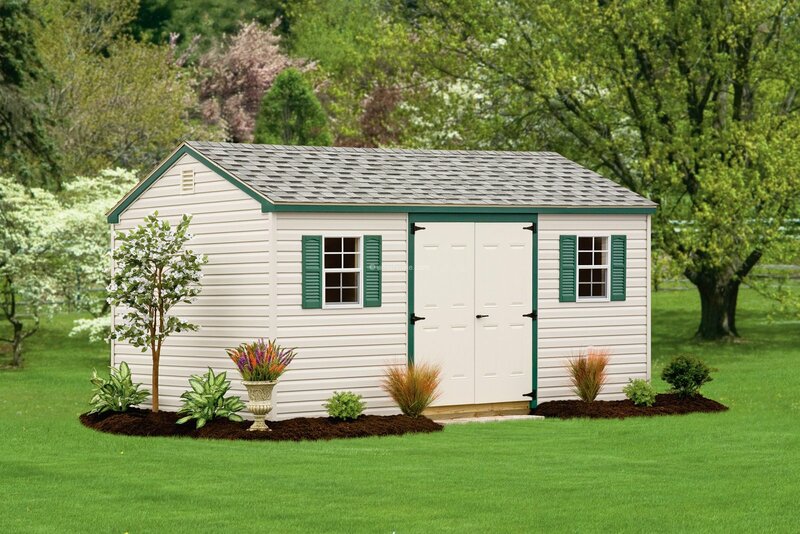 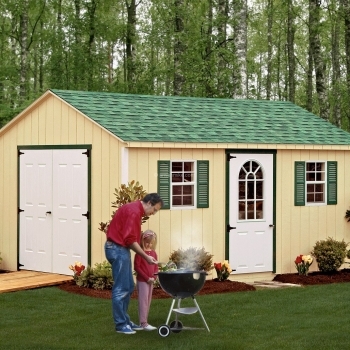 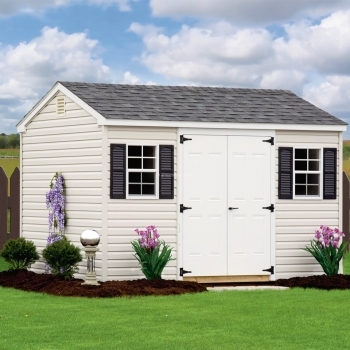 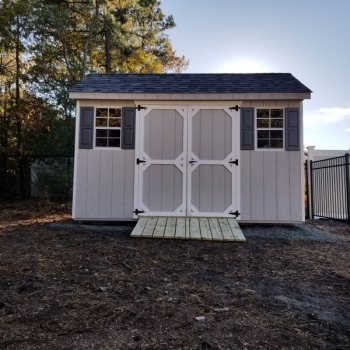 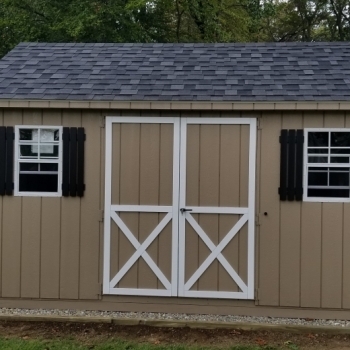 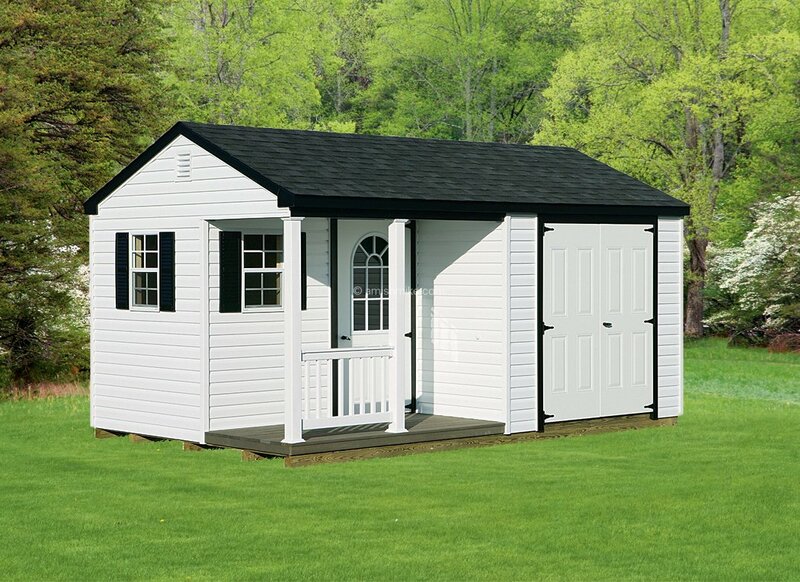 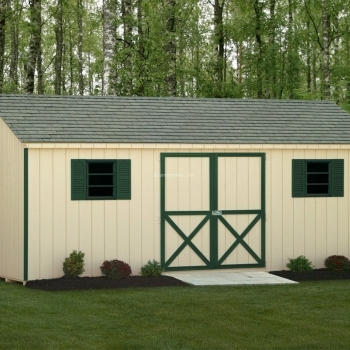 A great value in storage, construction, and look, the A-Frame has 6’ 6” sidewalls and a 5” roof pitch. 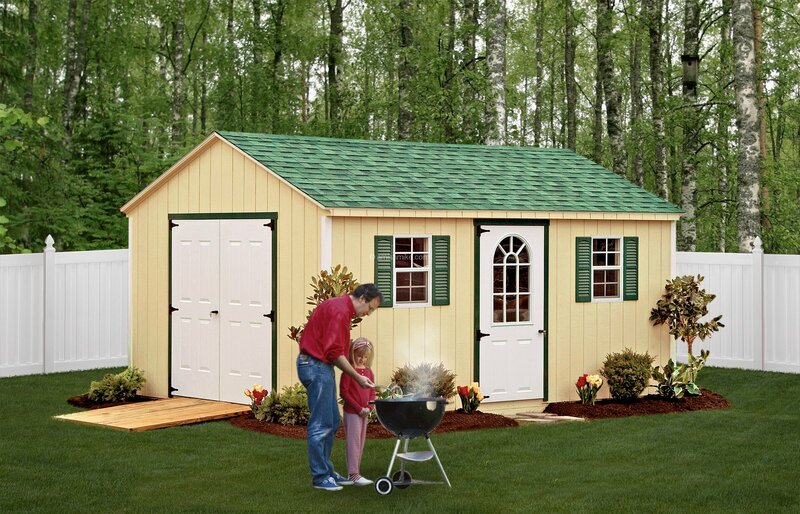 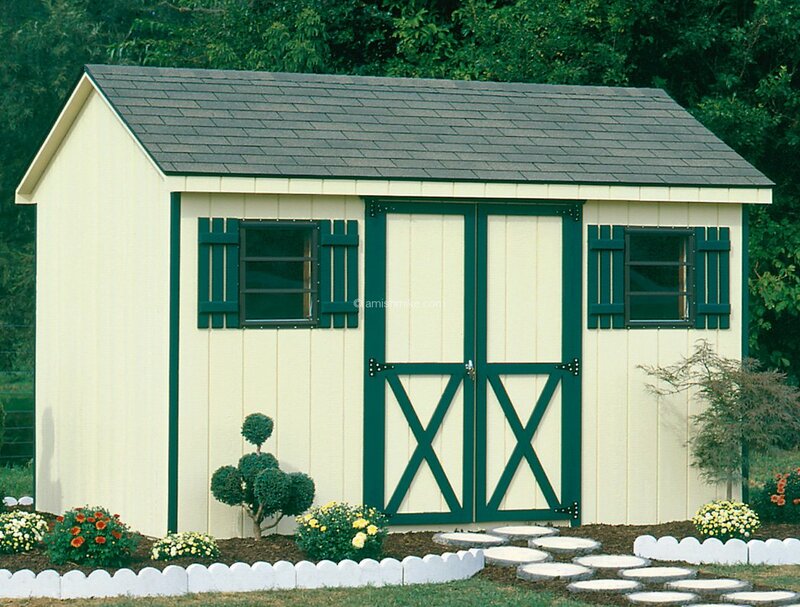 A-Frames come standard with 1 or 2 windows, based on shed size, and a set of double doors placed to order. 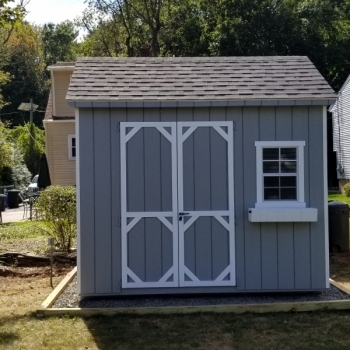 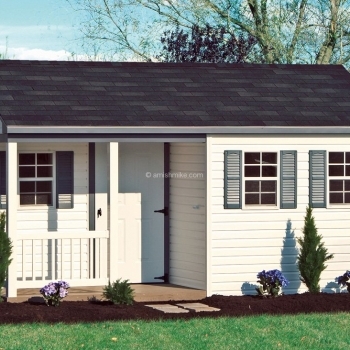 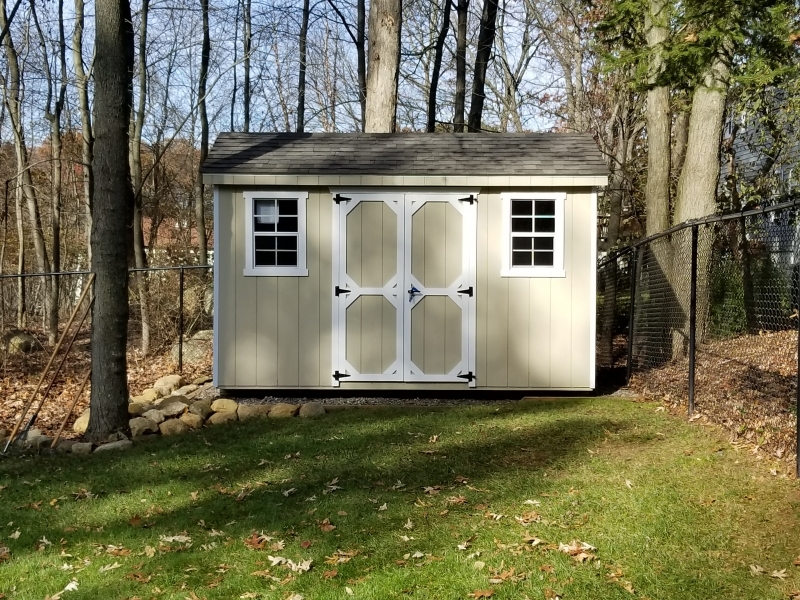 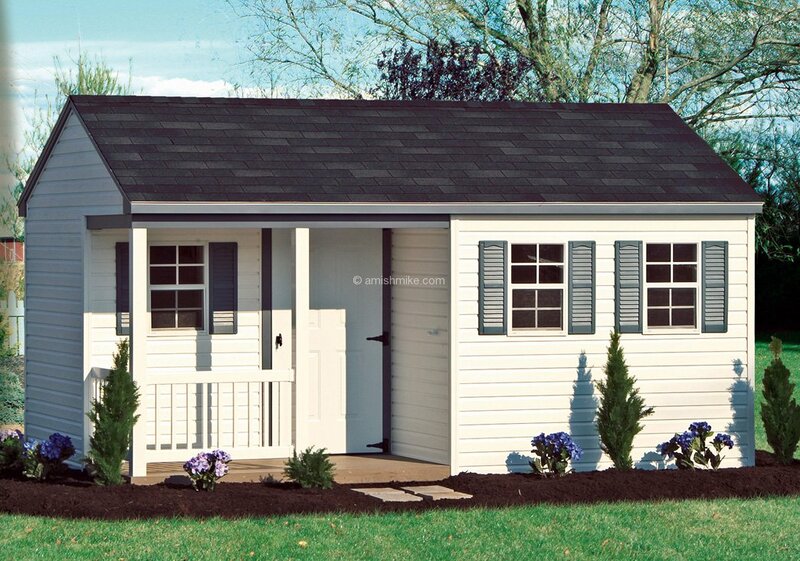 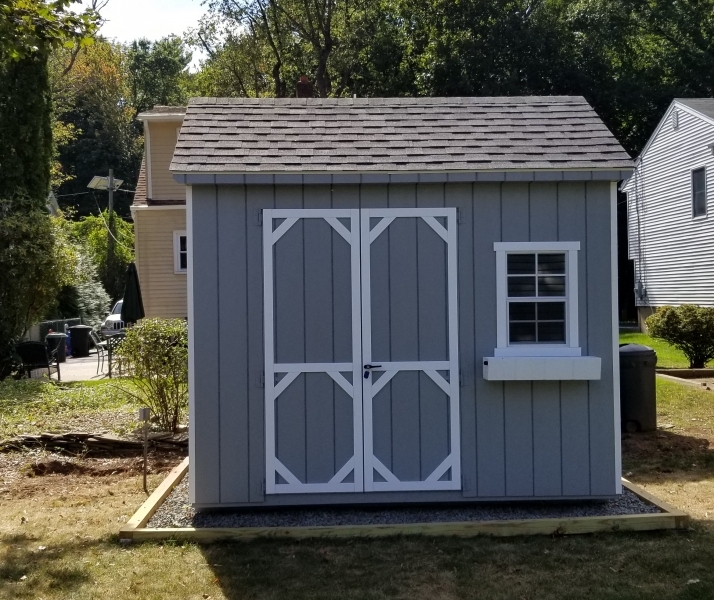 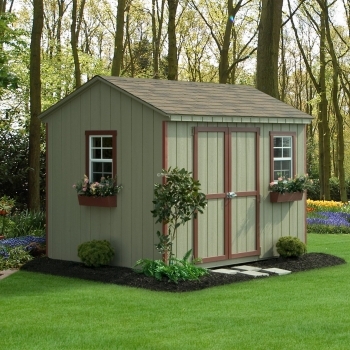 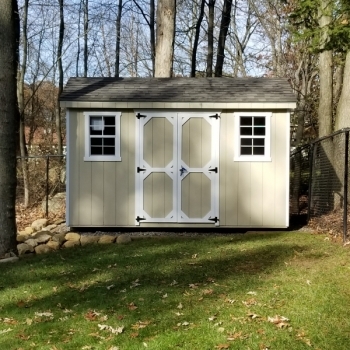 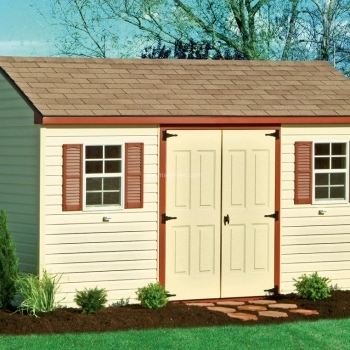 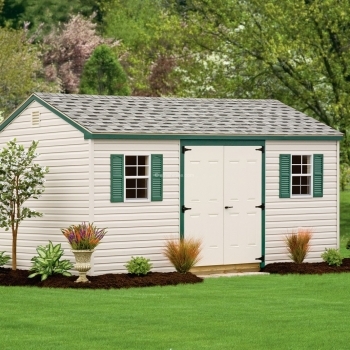 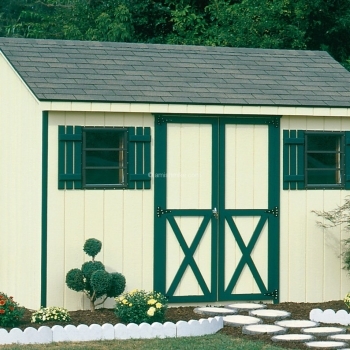 A-Frames are available in both the Traditional and New England Series trim lines.